Developing a Vehicle Personalization business will involve all departments working together. Don't worry. We make it easy. Every dealership is the same. Every dealership is different. This is a mantra we live by. We understand how dealerships work and how to make Vehicle Personalization work for you. If you follow our process, we guarantee success and we shape the process to work in your environment. Let's get started by having you tell us where you are, and what you think you need. 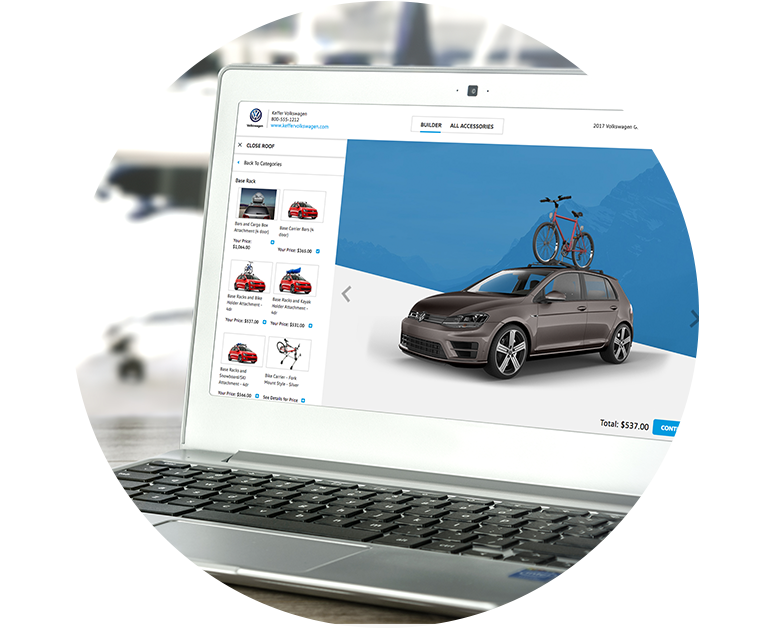 OnTrack 1.0 takes vehicle personalization to the next level. Engage your customers anywhere and at anytime in the showroom, service drive and at home. OnTrack 1.0 connects all departments, supports the process from beginning to end, and is customized for you. It is a perfect tool for accessory managers. 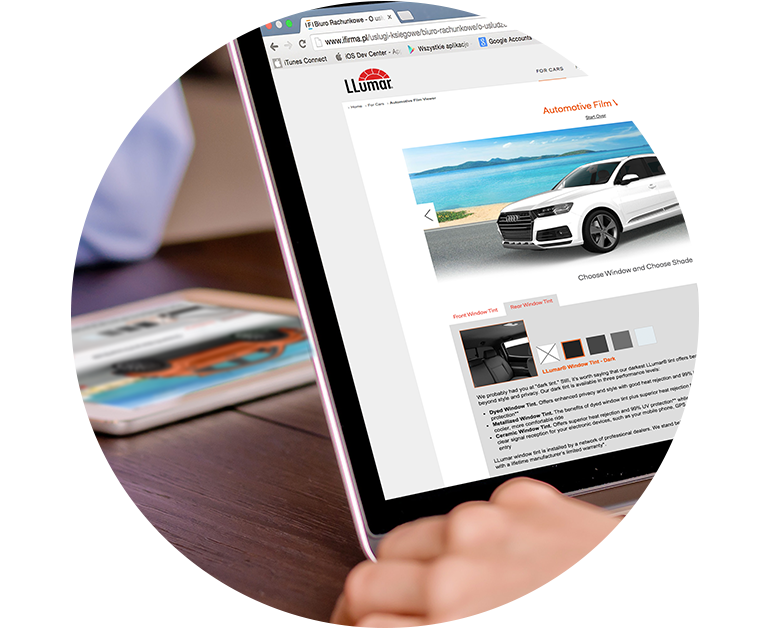 Let our Vehicle Personalization Experts (VPEs) guide your whole dealership to success. We will create higher customer satisfaction, increase your brand presence, retain your best sales staff, guide, coach and hold your team accountable. Utilize proven best practices for offering customization, and we guarantee your success. 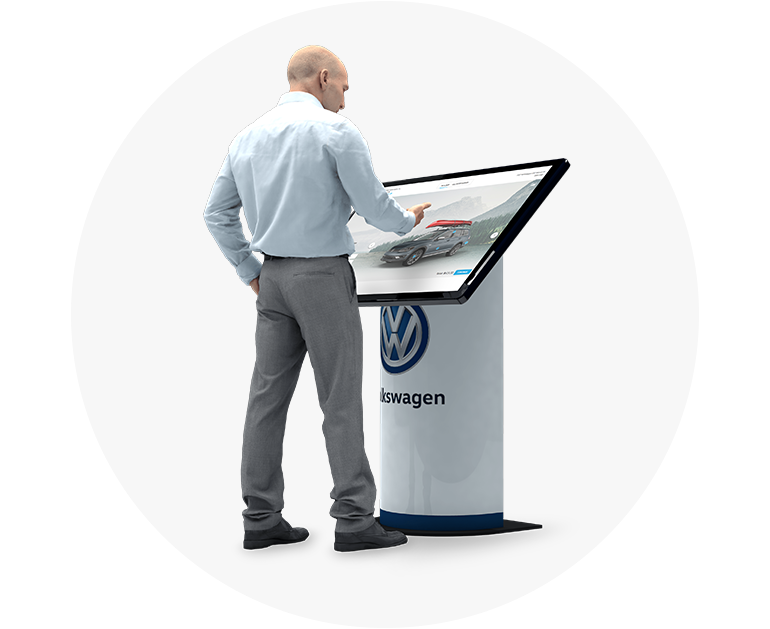 Give your showroom or service waiting lounge a focal point for Vehicle Personalization with our kiosks. Tell your customers that you provide them the easiest, most fun way to customize their vehicles. With our partners at Snap-on Business Solutions, we offer best-in-class equipment, installation, and service. Customers like LLumar, Katzkin, Bestop, Volkswagen, and Jaguar Land Rover benefit from our dealers' customers increasing their accessory sales. 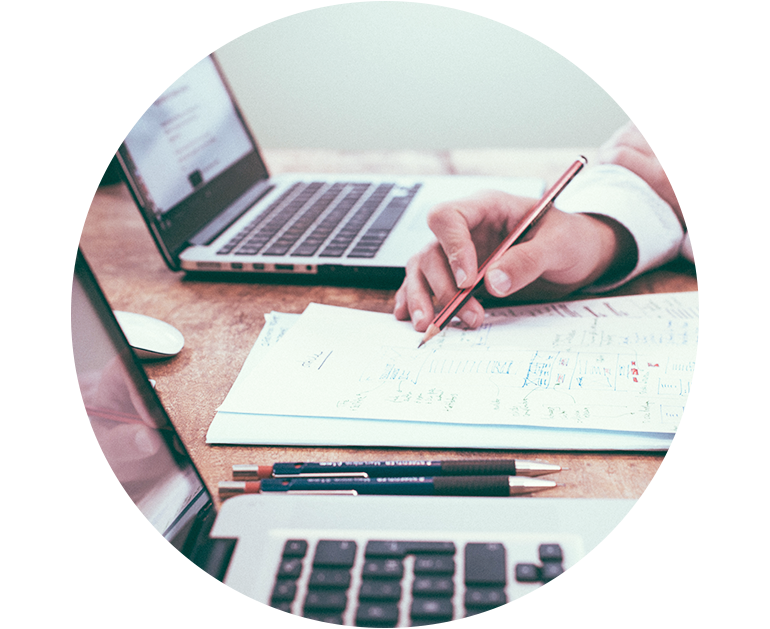 Our clients enjoy our easy-to-use software, exposure to thousands of dealerships to sell their products, and access to vital statistics to help them grow and succeed.